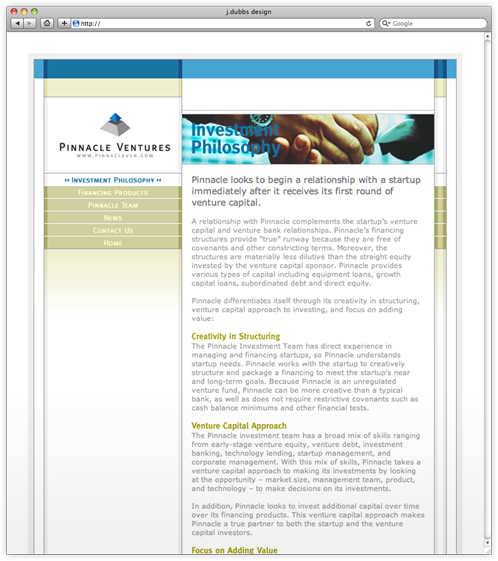 A private venture fund focused on providing debt financing to early-stage startups. 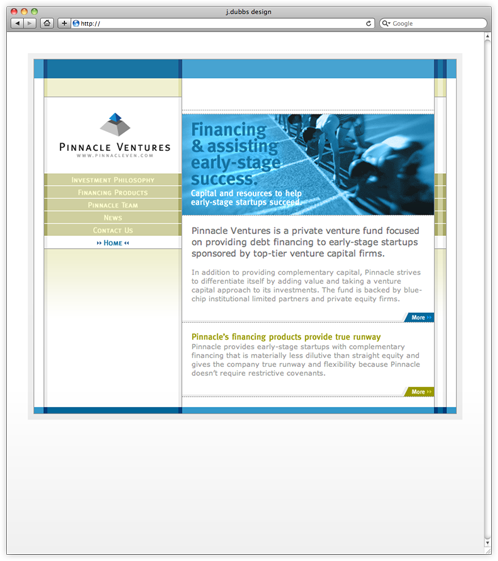 To differentiate it from the crowded Silicon Valley VC community, Pinnacle Ventures' website was designed with a more modern aesthetic than your typical venture fund, one that would appeal to the early-stage technology startups that form the majority of Pinnacle's investments. 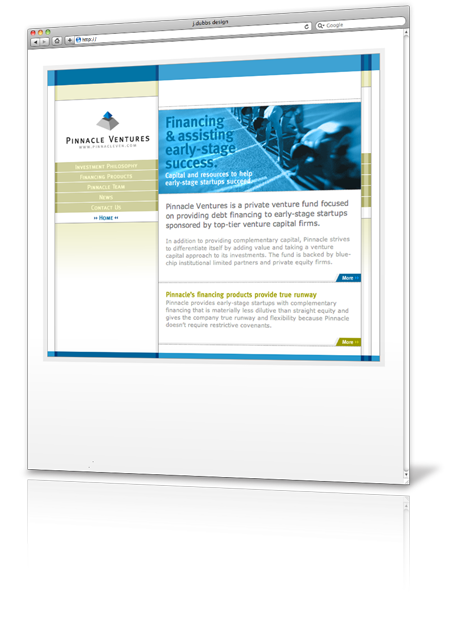 Additional services included logo design and related collateral design. 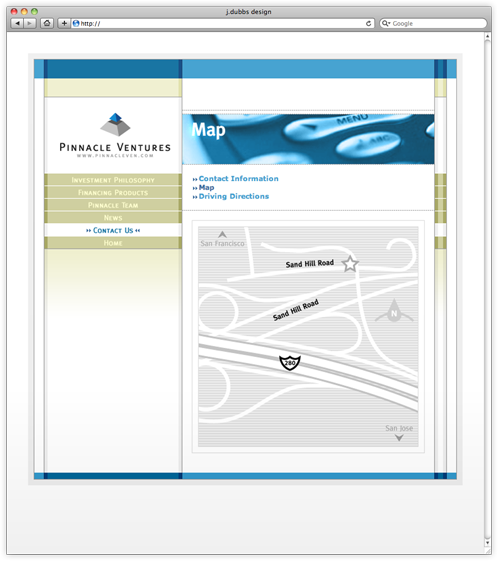 ©2017 Jamie Wieferman Design, Inc.